First established and incorporated in the state of Pennsylvania in 1951 as the City-County Clinic of Johnstown, Beginnings, Inc. has been serving the Cambria County Community for over 50 years. Beginnings, Inc. has been the premier leader in providing services to young children and their families in Cambria County for many years. Early intervention services were first offered in Cambria County in 1976 by the City-County Clinic of Johnstown. 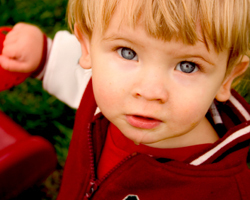 Beginnings Early Intervention Services was established as a not-for-profit, 501(c)3 corporation to provide early intervention services to all children who have a developmental delay in one or more areas and their families. As the organization has grown over the years, new programs were developed, and in 1998 Beginnings Early Intervention Services legally changed its name to Beginnings, Inc. Through the expansion of operations, the agency now provides services for children at risk for developmental delays, and abuse and neglect. Families can enroll in early literacy programs to prepare their child for school.